This large scale installation, called “DJ Luz” (DJ Light) was created by English designer Dominic Harris at Interactive Cinimod studio in London. It was created for the energy company Endesa as the cornerstone of their Christmas celebrations in Lima, Peru. 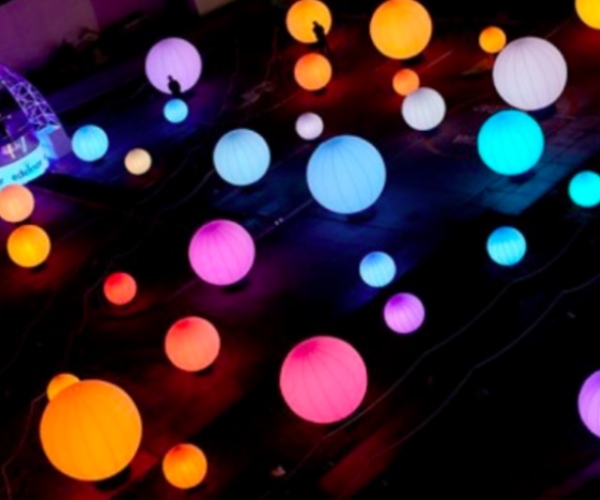 The installation includes 400 channels of lighting control and a multi-directional sound system connected to 85 giant globes of light, each capable of displaying millions of colors. “Guest DJs” orchestrate the display by using their arms to point and gesture. These movements are then translated in real-time into beautiful movements of light and generative sound across the space. Read next: The value in jumping off the "social media train"